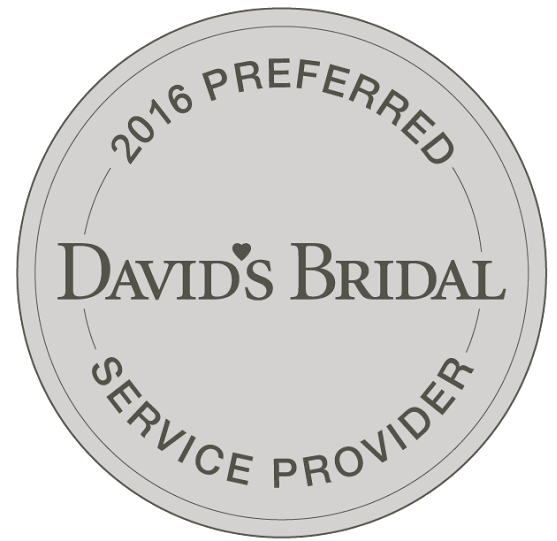 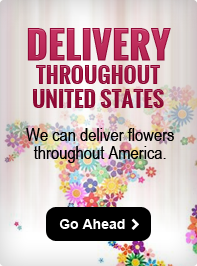 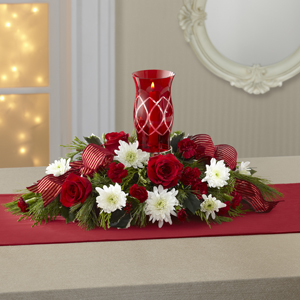 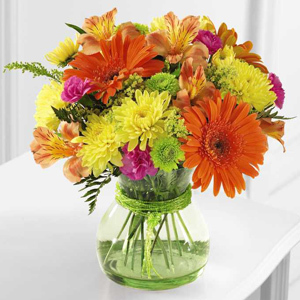 FTD® proudly presents the Better Homes and Gardens® Gifts from the Garden™ Bouquet. 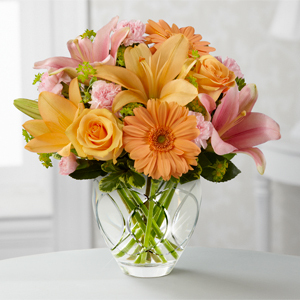 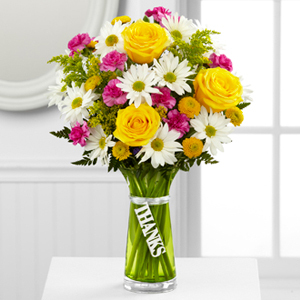 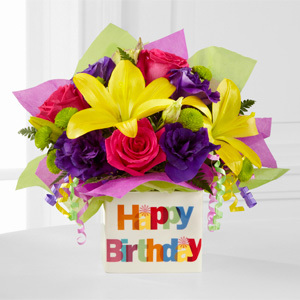 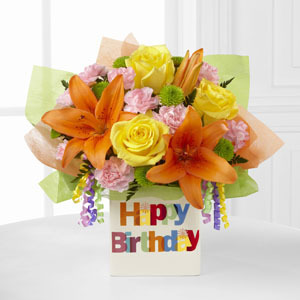 Blooming with beauty and a natural grace your special recipient will find perfectly alluring, this mixed flower bouquet extends sweet sentiments and warm wishes. 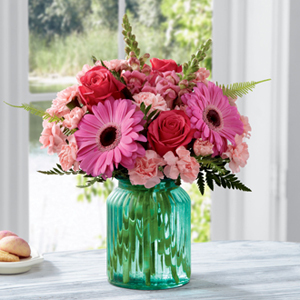 Hot pink roses and gerbera daisies take center stage in this flower arrangement surrounded by pink mini carnations, pink snapdragons, Boston Fern fronds, and lush greens. 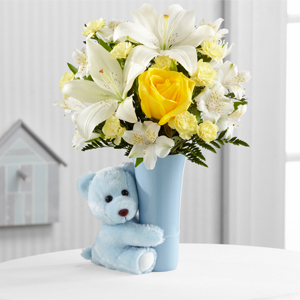 Presented in an aqua blue glass vase with a vintage look they will adore, this stunning flower bouquet is set to make a wonderful impression in honor of a birthday, as a thank you or congratulations gift, or to just brighten and lighten their day.